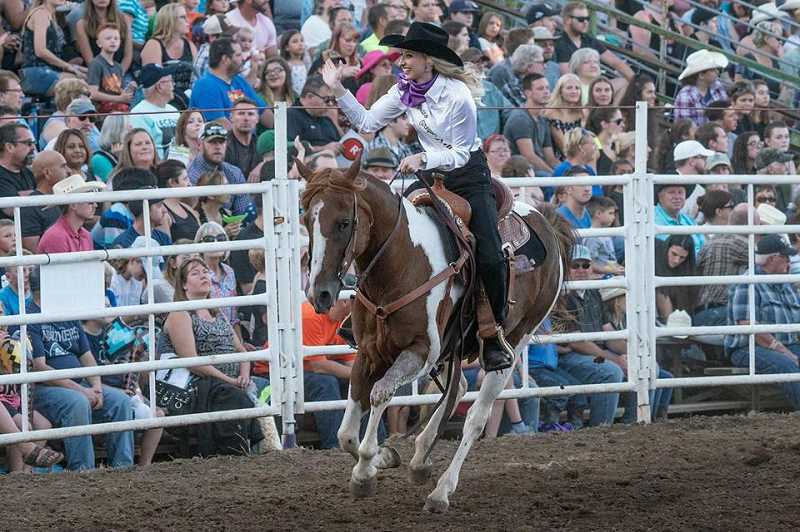 Molalla's Kelsey Leinbach earned the honor of competing in the 2019 Miss Rodeo Oregon pageant at the Clackamas County Fair and Canby Rodeo on Aug. 14-18. Leinbach won the speech and knowledge awards, with the title going to Taylor Skramstad of Umapine. "Just with anything you work for, I am feeling a little disappointed about not winning the 2019," Leinbach said. But, she said she will continue her plan to work with her sponsors and with Oregon Strong to help celebrate the 160th anniversary of the state of Oregon. Plus, she accepted a new gig as a reporter and anchor for Western Media and Sports News on Farm and Ranch TV. "I am excited to be starting this journey to help grow their business," Leinbach said. "I actually just finished filming the first show, featuring a special interview from an event this past week or so in Molalla." During the fair week, Leinbach said she was having an incredible experience and offered an inspirational message for young girls. "If there are little girls out there that are reading this, listening, what have you, they need to know that Miss Rodeo Oregon is so much more than just a girl in a crown," Leinbach said. "It's a scholarship program. It is helping to educate, elevate and inspire young women all across the world. I mean, you don't have to be a cowgirl to look up to Miss Rodeo Oregon because she's a bit of everything. She does it all. She rides. She's educated. She goes out and she does what those little girls are dreaming they want to be one day." Even after the pageant, Leinbach acknowledged that chasing dreams is worthwhile. "I would just like to reiterate that following a constructive dream is always a good thing," Leinbach said. "Life is about the journey. Sometimes following one dream will help you realize that your passions or talent actually lie in another direction entirely. You never know where life will lead. My advice to those seeing my journey is that win or lose, keep your chin up, and always be ready for the next adventure." Miss Rodeo Oregon was the second national pageant for Leinbach. She competed at the Miss Rodeo USA pageant in January as Miss Molalla Buckeroo Royals—a one-time title that allowed her to attend the pageant. "That was an incredible blessing," Leinbach said. "The fabulous Buckeroo Royals sponsored that trip, and they let me go and represent, and then they let me actually go for part of the season as Miss Molalla. I got my run in, and it was a dream come true for me. 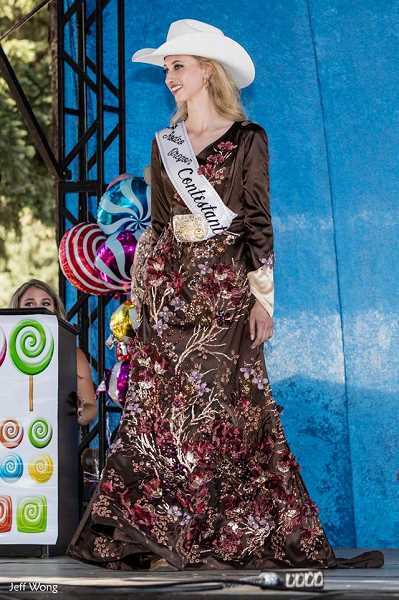 As a little girl, I always thought, oh one day I'm going to be Miss Molalla." She added, "I am so honored to have spent the last few years representing our community in the Rodeo Industry, and I look forward to the great things on the horizon."